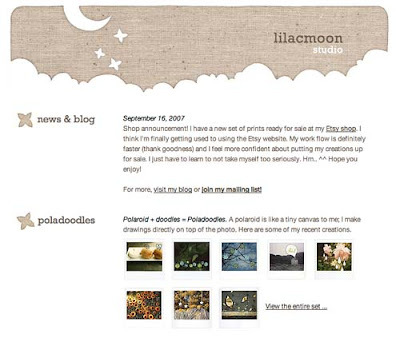 lilacmoon studio: blog: Site Renewal! Main website is finally up! It's a one-page site because I wanted it really concise. If you have any feedback or see broken links, please let me know. And don't forget to sign up for my mailing list!